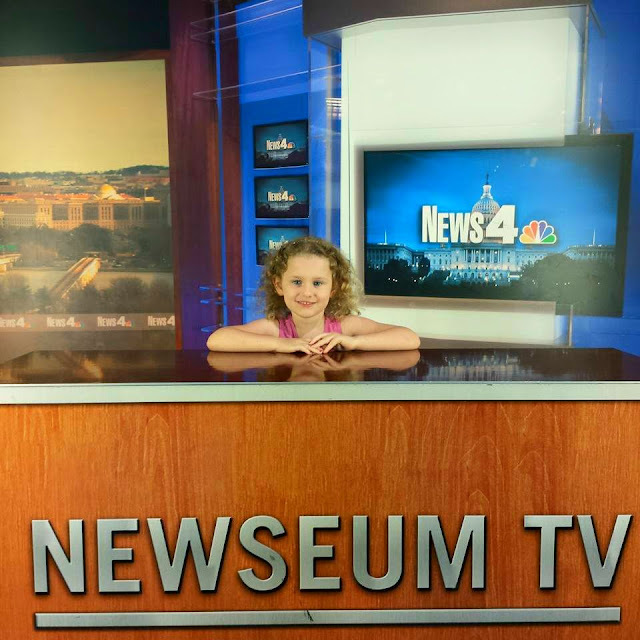 Washington D.C. is a great destination for families because so many of the attractions do not charge admission, and that can help your vacation dollar go a little farther. 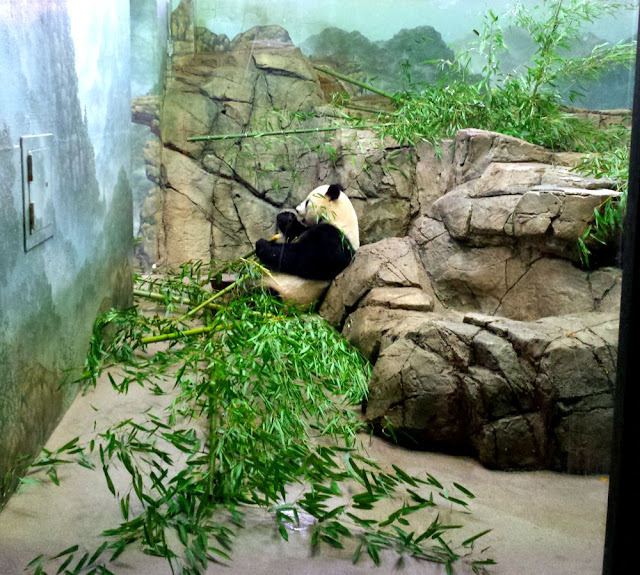 The Smithsonian National Zoo is one of those attractions. We spent an entire day exploring the zoological park. In fact, the female panda, Mei Xiang was pregnant during our visit which we found out in August when she gave birth to twin cubs. I think it was a surprise to all. Unfortunately, one cub did not survive, but the other cub, a boy, is doing well. The #PandaStory and updates are on the zoo's website and social media. Live photos of Mei Xiang and her cub are available for viewing on the zoo's social media account. The national zoo was a quick UBER ride from our hotel, the Ritz-Carlton Washington D.C. and our fare was about $6 to get there. 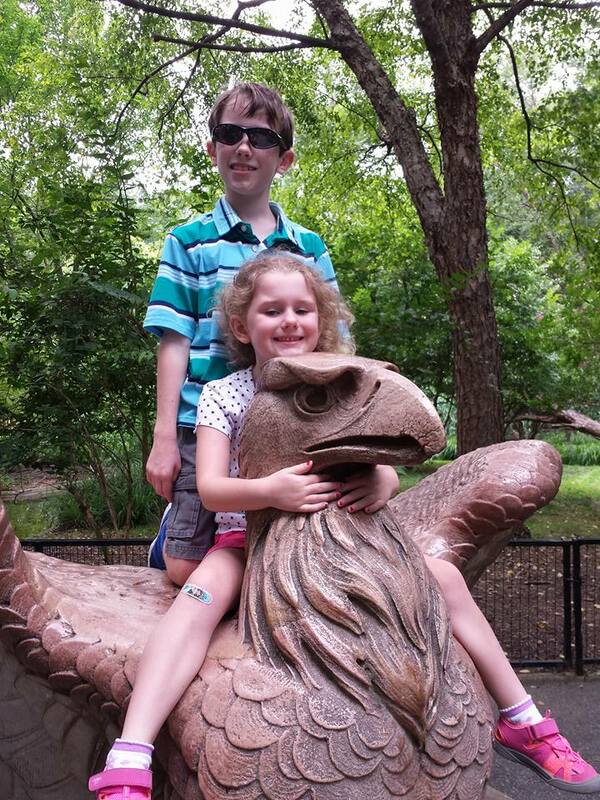 No doubt, the zoo was a great family fun, but the "Lions, Tigers, and Bears...OH, MY! 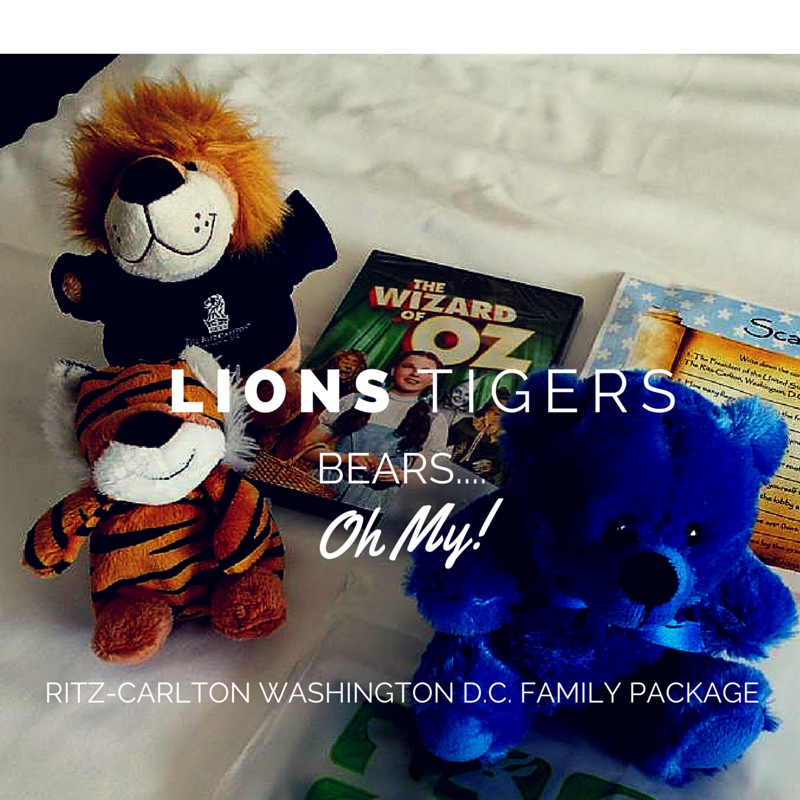 Family Package" with the Ritz-Carlton Washington D.C. made our zoo experience even more special. 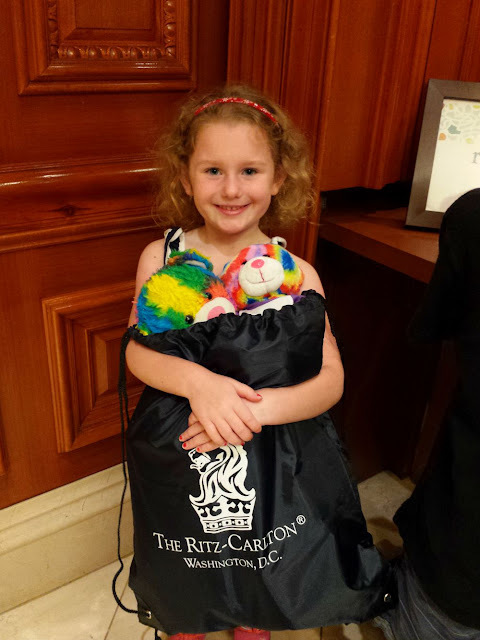 During our day at the zoo, we could walk by all the stuffed animals at the zoo for sale because our five-year-old was already showered with new stuffed animal friends at the Ritz Kids check-in. 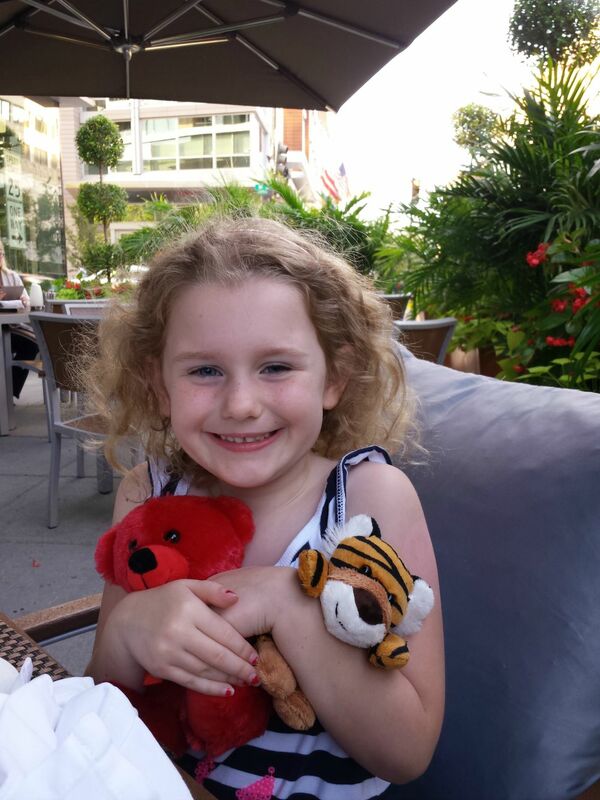 She was given a backpack to hold her beloved Cinderella Bear, Elsa Kitty, and all the new friends she collected in D.C. 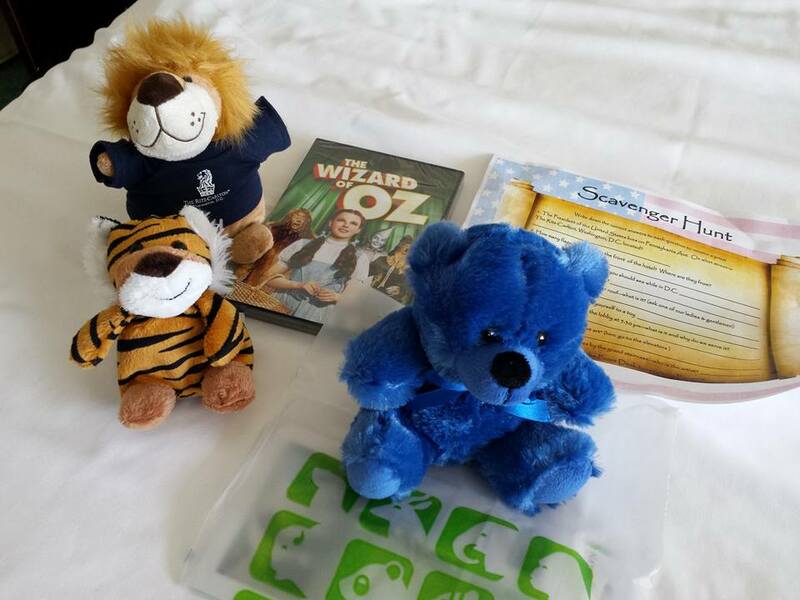 There were also more zoo animals waiting for my kids in our room after we checked in along with the classic movie, "Wizard of Oz." This was our DVD to keep as a souvenir. As if she had not had enough, Liza received another bear from the hostess at dinner at the hotel's signature restaurant, WestEnd Bistro. For a while, I wondered if we were going to need a bigger car to take all of these animals back to Raleigh. She named everyone, and it truly upped the game with our vacation experience and memories that she will hopefully remember for a long while. 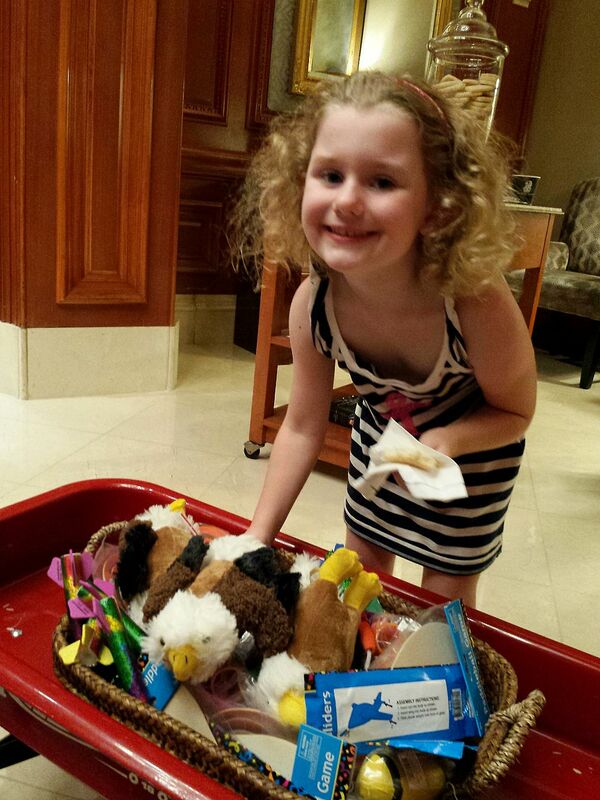 We also could pass by the candy at the zoo because we knew we had special zoo cupcakes waiting on us in our room, too. The kids had so much floor space at over 450 square feet that they actually played and entertained themselves. Yes, the zoo was great fun, but at the end of very long, tiring and hot day, it was wonderful to go back to our luxurious and large room at the Ritz-Carlton, Washington D.C and relax. Jack has allergies so our room was defeathered, which is why the beds don't appear as fluffy as normal. 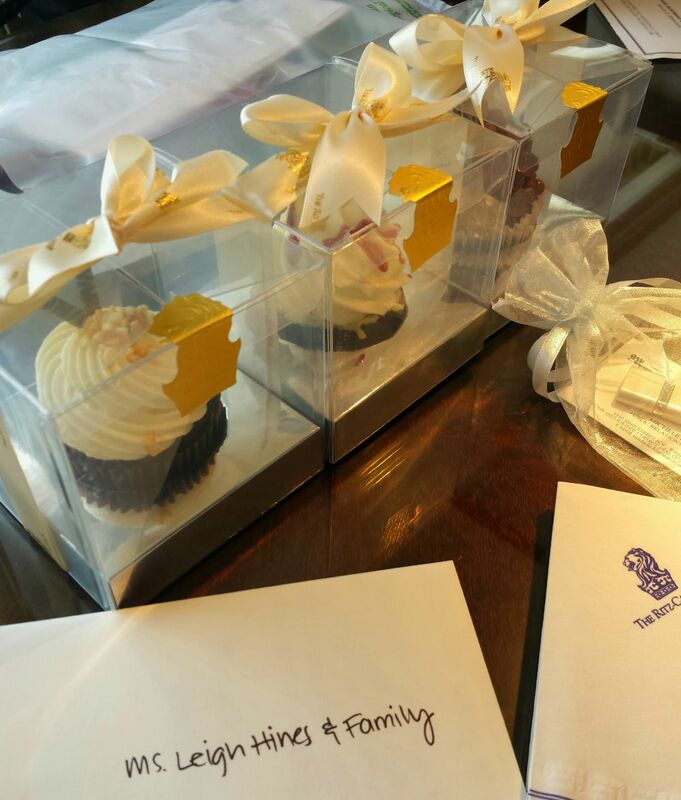 Our family package included valet parking, an in-room movie, and breakfast for four in the dining room or in-room dining. Rates for this package start at $329. I don't know if you look at hotel rates in the Washington D.C. area for fun like I do, but let me break it down for you. 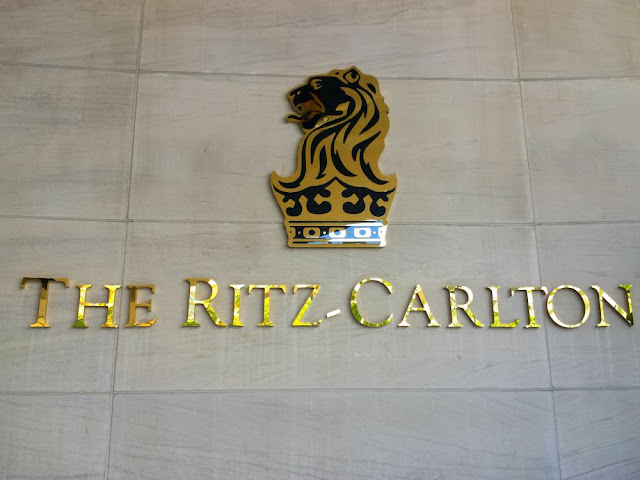 The Ritz-Carlton is a five-star full-service luxury property while its next door neighbor, although new, is a limited-service 3-star property. Rates start at the 3-star property at about $300 for a room equivalent to our room in size that we had at the Ritz and that rate does not include parking, in-room movie, and breakfast. You know me. I am practical, but I also know a great luxury deal to share with you. I found it at the Ritz-Carlton. My hotel also had a champagne check-in. And a red wagon filled with gifts for the kids. Presidential cookies were served in the afternoon. 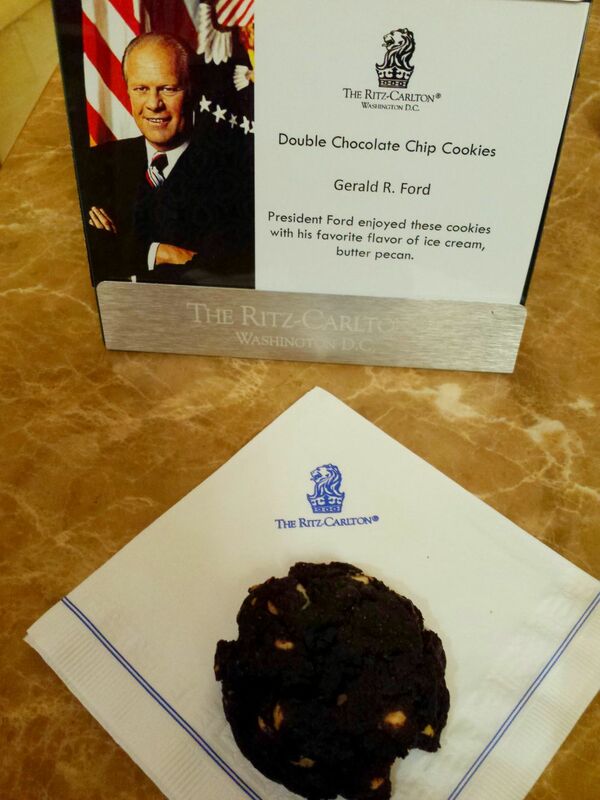 Eisenhower loved shortbread and President Ford loved a double chocolate chip cookie. We loved both. And the best part of all, the luxurious Ritz bathroom. I know it may sound silly to talk about bathrooms. But, regular hotels cannot compete with luxury hotel bathrooms. 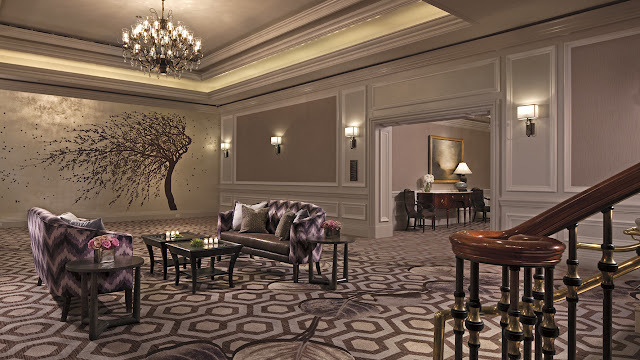 The Ritz-Carlton Washington D.C. is a regal jewel in the Foggy Bottom area of the city with tree-lined streets. Famous people stay here. Presidents. Dignitaries. Even Prince Harry. 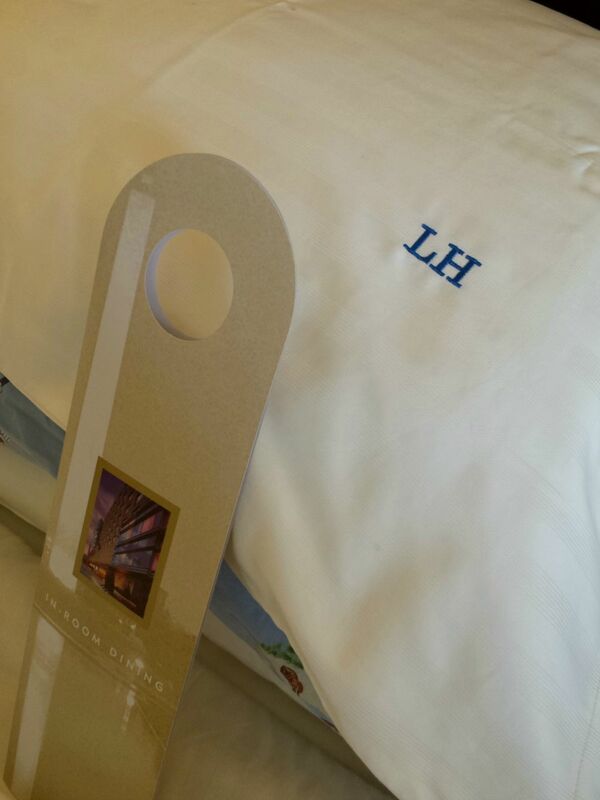 And they, too received monogrammed pillowcases at turndown. Ok. I admit it. I got a little VIP treatment on that one. That's not standard issue, but the story is pretty amazing. 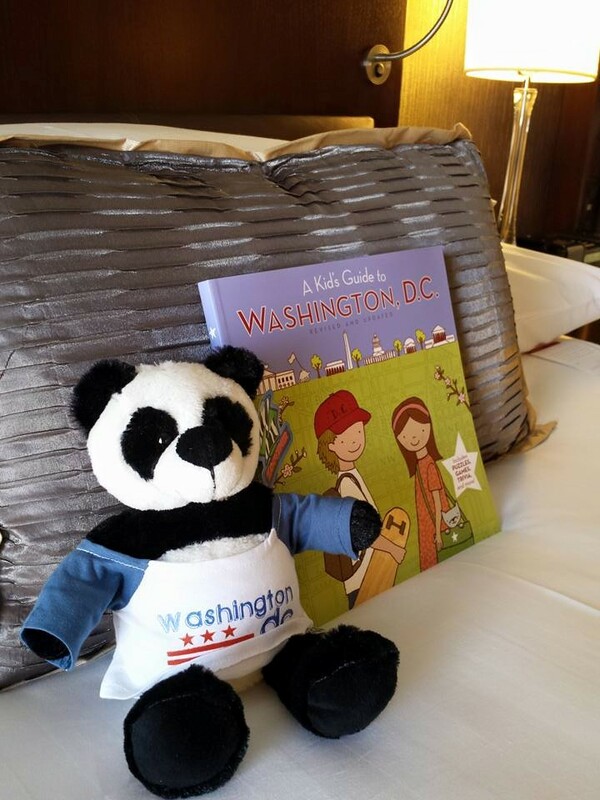 The Ritz-Carlton Washington D.C. has a pillowcase library. No, I'm not joking. There is a library filled with pillowcases. They let me have ours as keepsakes because I'm not a true VIP by guest standards. Typically, frequent guests on Washington D.C. business will have a monogrammed pillowcase made, and it is used each time the guest check-in. More than likely, Prince Harry received one and it is waiting for him on his return. Rates for VIPs are certainly higher than the one for the family package we experienced, but one thing I can say with certainty as a Ritz-Carlton guest is that we were all treated the same. Every level of the Ritz-Carlton staff aims to please. An example of this really shines with a story about our waiter at breakfast. 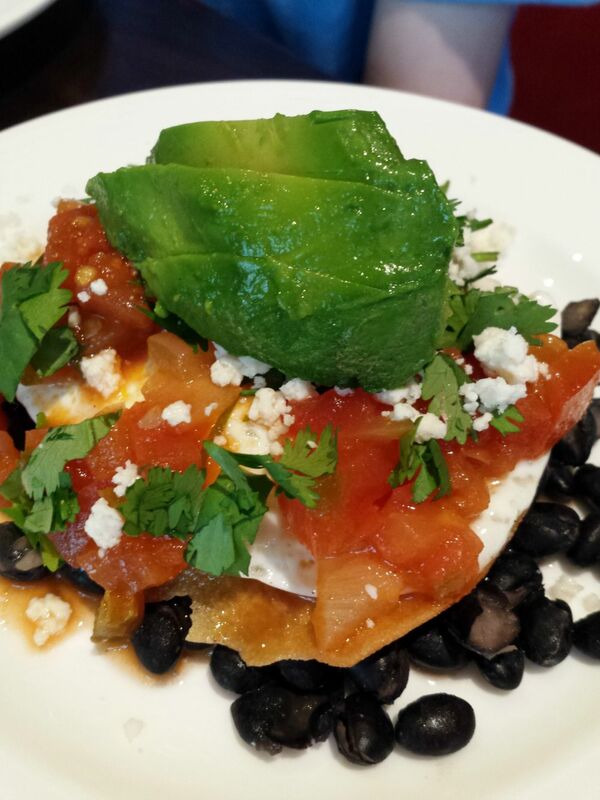 I ordered the huevos rancheros, which was the best thing I've ever tasted on our first morning there. It was simply fantastic. In fact, I still talk about how good this dish was, and I want to learn to make it at home. On our second morning of our stay, the hotel showcased its breakfast buffet. It is spectacular, too, but I chatted with our waiter and told him that even though I was ordering the buffet, I almost got the huevos rancheros again because they were that good. He replied, "Yes, it is a great dish, Mrs. Hines." They have a knack of remembering your name which also amazes me. As soon as I got back from my seat after visiting the buffet, our waiter came to our table with a salad plate size serving of huevos rancheros. He said, "This is for you. The chef knows how much you like them." The Ritz-Carlton, Washington D.C. is located at 1150 22nd Street, N.W. 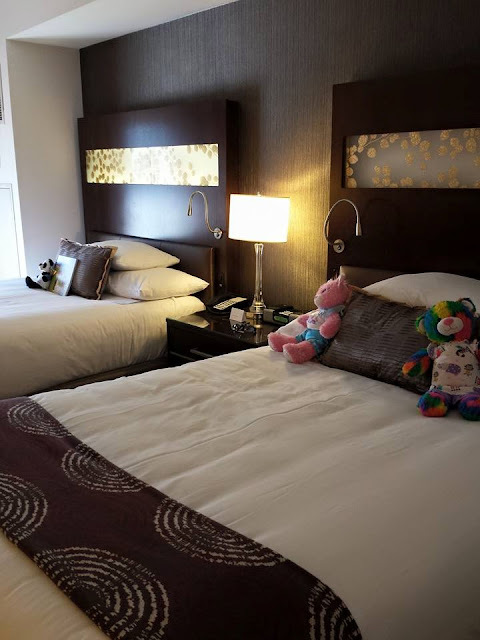 The hotel is both kid-friendly and pet-friendly. While there, the Lobby Bar area was undergoing renovations and is expected to reopen this month with expanded seating, a new look, and expanded bar menu. The hotel's signature drink is a cocktail named after President Lincoln. Lincoln's picture also graces the cover on the chocolates during turndown service. View the latest Ritz-Carlton Washington D.C Hotel packages so you can make wonderful vacation memories with your family. 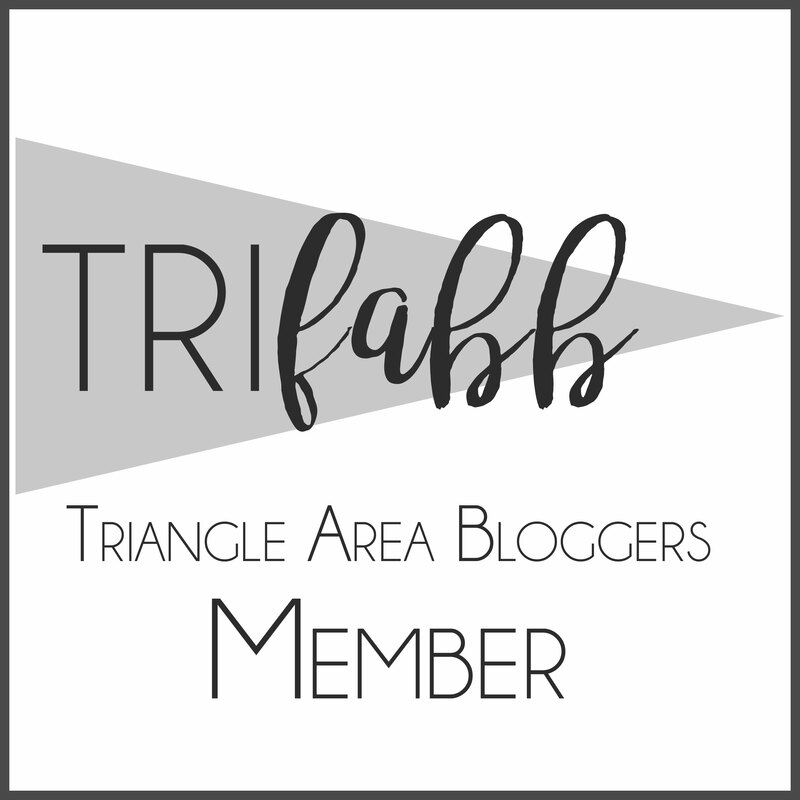 Be sure to tell them that the HinesSightBlog sent you. 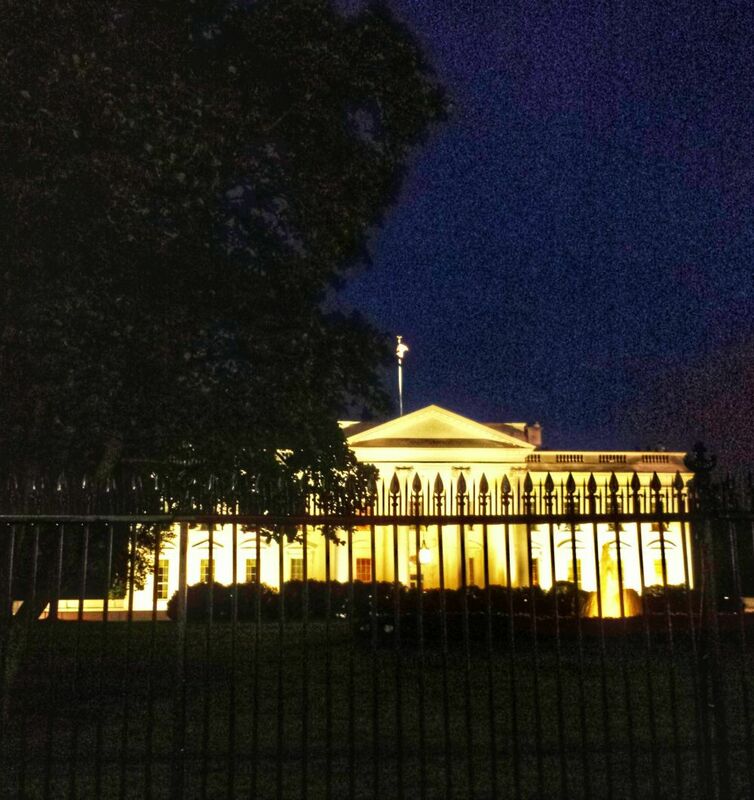 Disclosure: My trip to Washington D.C was part of a curated media stay. Opinions about this hotel are my own, and as always, I did have my own expenses and did receive complimentary rates and special rates. We are in prime tomato season in North Carolina. 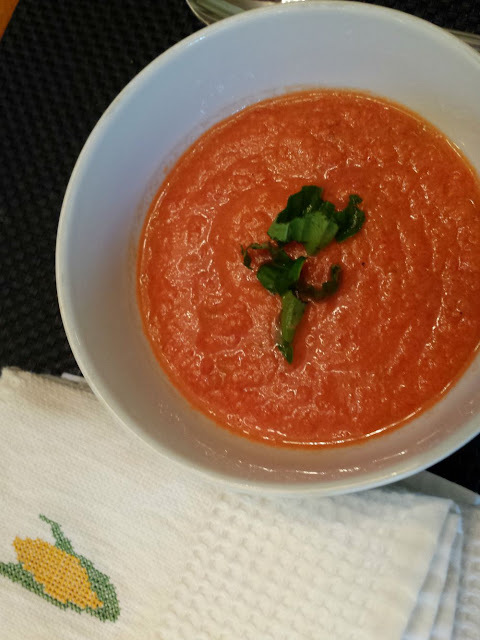 The other day I made gazpacho for the first time from a recipe kit from Papa Spud's, my weekly produce delivery service. I fell in love with this recipe. 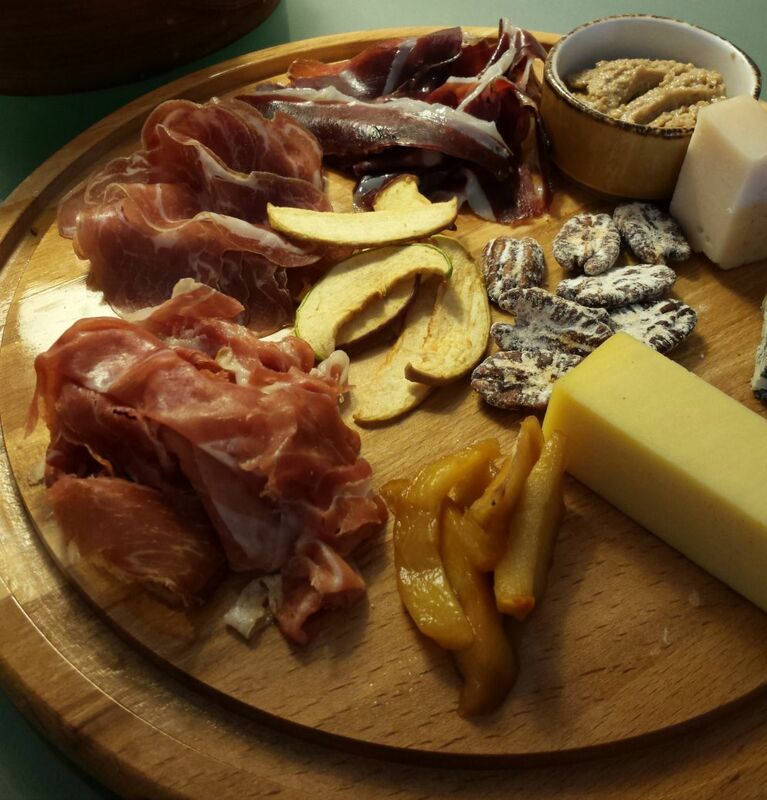 It takes 15 minutes to assemble, but you need to chill it for two or three hours before serving. Chop vegetables. Peel your cucumber and scoop out seeds. Combine tomatoes, bell pepper, cucumber, jalapeno, olive oil and vinegar in a blender. 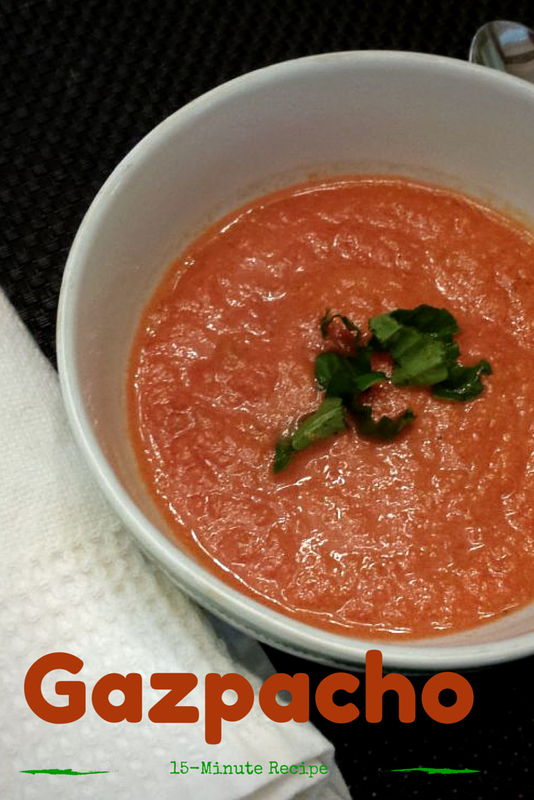 Puree until vegetables are smooth. I kept a thicker consistency. Mix 1/4 teaspoon of salt, then more to taste. Add black pepper. Cover and chill in the refrigerator for one to two hours. Garnish with fresh basil. I loved this soup so much that I'm making it for my friend this week when she comes to my house for lunch. 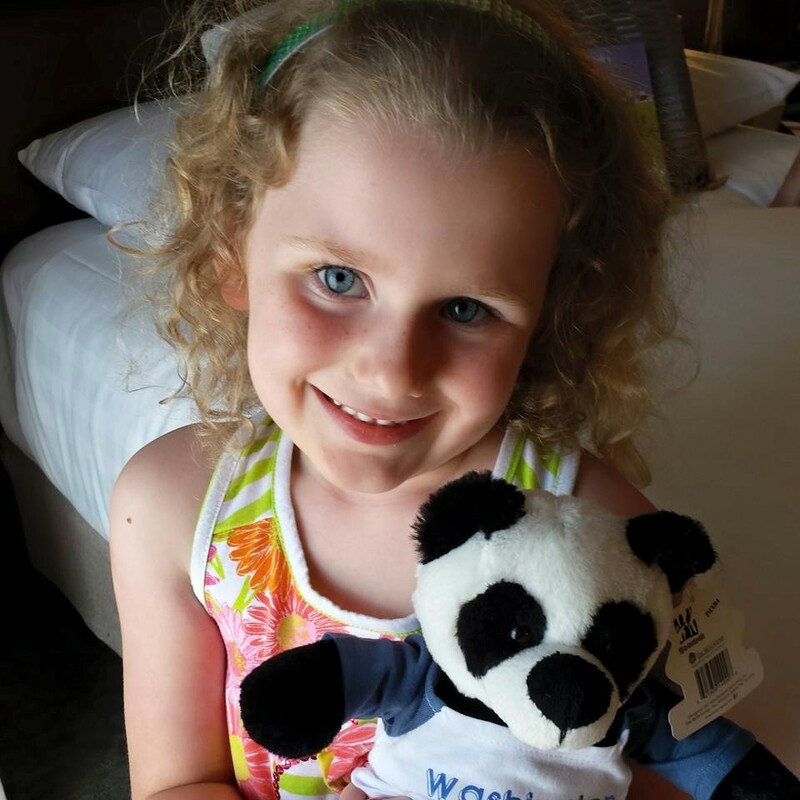 When parents are booking hotels in city destinations, there are several things usually on the check-off list. Can you easily walk to restaurants and attractions, or get to them quickly from the hotel location? As family tourists, will we feel out of place in a sea of business travelers during the week? Is there room service or a good menu for kids? What is the cost of the room? Does this hotel align with my hotel rewards/choices? Any of those factors can drive a choice on where families stay while on vacation. As you know, my own philosophy is that a hotel is part of the destination experience. 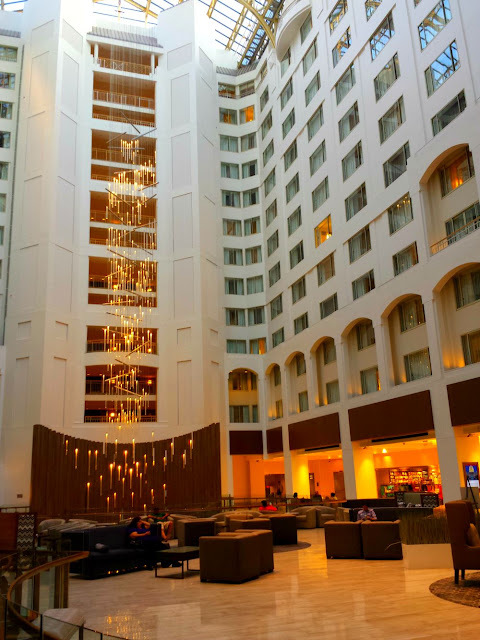 When I was curating hotels to feature for my Washington, D.C., visit, I may have overlooked the Grand Hyatt Washington D.C. as a place for families to stay at first due to my thinking it was more of a conference/business hotel. When I read it had almost 900 rooms, I had visions of my last time in Vegas and Disney with so many rooms that service is not always at a premium. 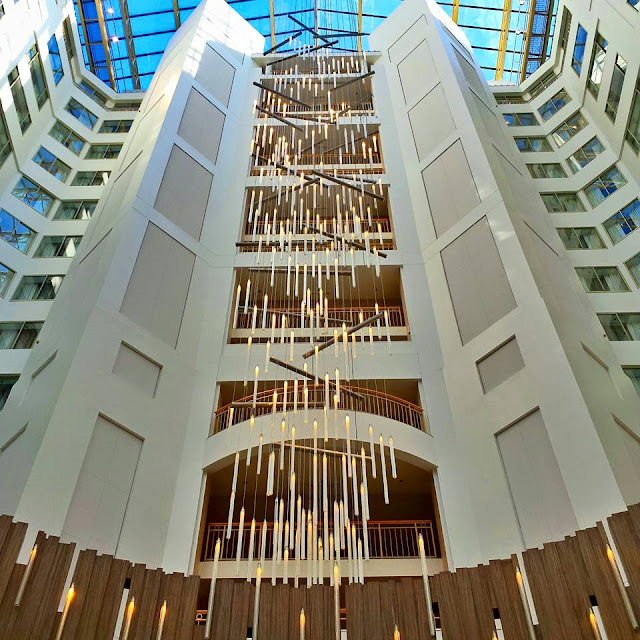 But you know I love checking out a hotel, and this gave me the opportunity to learn more about the full-service hotel portfolio within the Hyatt brand, and what this brand offers for its guests in the upscale to the luxury market. Making the decision to experience this brand was one of the best decisions I’ve made, and it really opened my eyes for choosing Hyatt for future destinations based on my experience at the Washington, D.C., property. The Grand Hyatt Washington D.C. is in a prime location for tourists visiting the city. It is located in the Penn Quarter area of downtown D.C. and is about four blocks from the White House, and a Metro stop away from the Smithsonian Museums. The best location amenity of all is that access to the Metro is inside the lobby of the hotel. It’s the city center stop and without even going outside, you have access to anywhere in D.C. that the Metro goes. 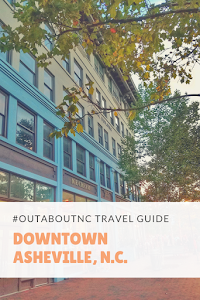 With several restaurants nearby and a fabulous restaurant inside the hotel with a kid’s menu, you can easily check off the No. 1 item on a parent’s hotel checklist. 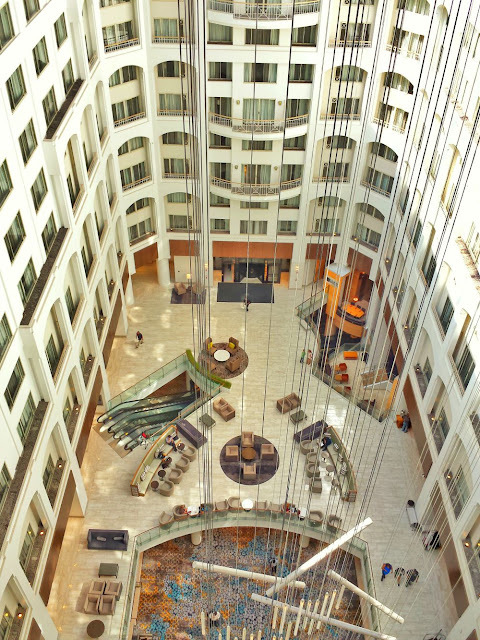 The location at the Grand Hyatt Washington D.C. is hard to beat. With a hotel of 900 rooms, check-in at 4 p.m. is one of the busiest times for the property, but you would never know it. The valet service is ready to take your car and whisk you into this impressive, brand new lobby for check-in. The hotel has spent an undisclosed amount to update this atrium-style hotel that was built in 1987, the year I graduated from high school. Atriums were in, and so was big hair. 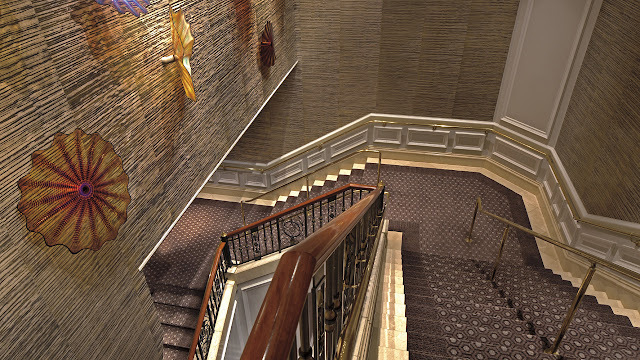 The Grand Hyatt has modernized this hotel from head to toe to turn a dated atrium into an architecture classic. We have already established that it has one of the best locations in downtown D.C. But, do they, welcome children? Ice cream bars on arrival sugared the kids up and won them over along with the impressive lobby. The rooms are modern, fresh and extremely comfortable for a family of four, although a little tight when you get everyone’s luggage in there so there was less floor space. Overall, the rooms were great. They average in size from 330 to 400 square feet. The signature Grand Hyatt beds are fantastic and were the most comfortable of our entire trip. They certainly have a winning product there, and probably another reason I would seek out the Hyatt brand on future trips. Will never sleeps the best in hotels, and he said he slept great during this stay. 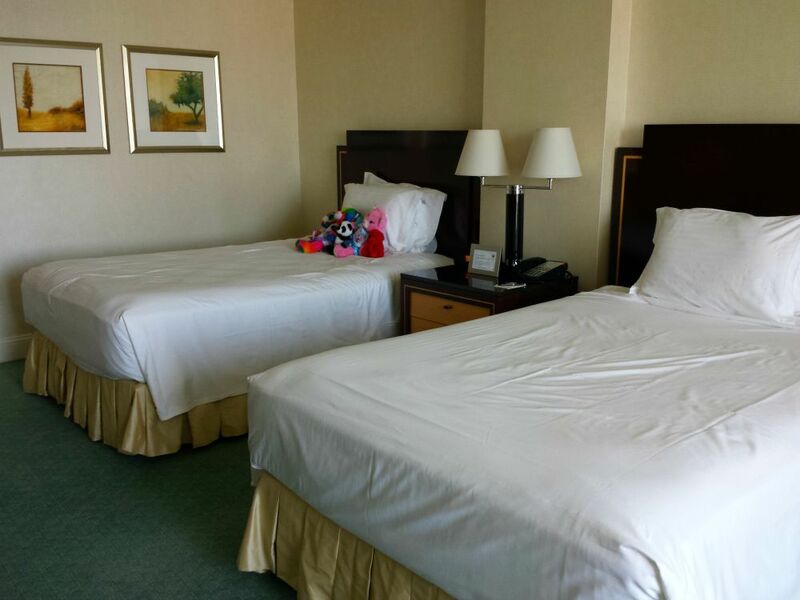 We were upgraded to a Grand Club room on the 12th floor, which had double beds, robes, June Jacobs Spa Products and upgraded amenities like toothpaste. The bathroom was what one would expect in an upscale property. It was basic in size, updated, but not on the grand scale like you find in many luxury properties. The Grand Hyatt is adjacent to the FIT Club at D.C.’s Washington Center, which houses a small indoor pool. The workout area is spacious and would meet the needs of the active traveler well. There are classes that guests can take as well. 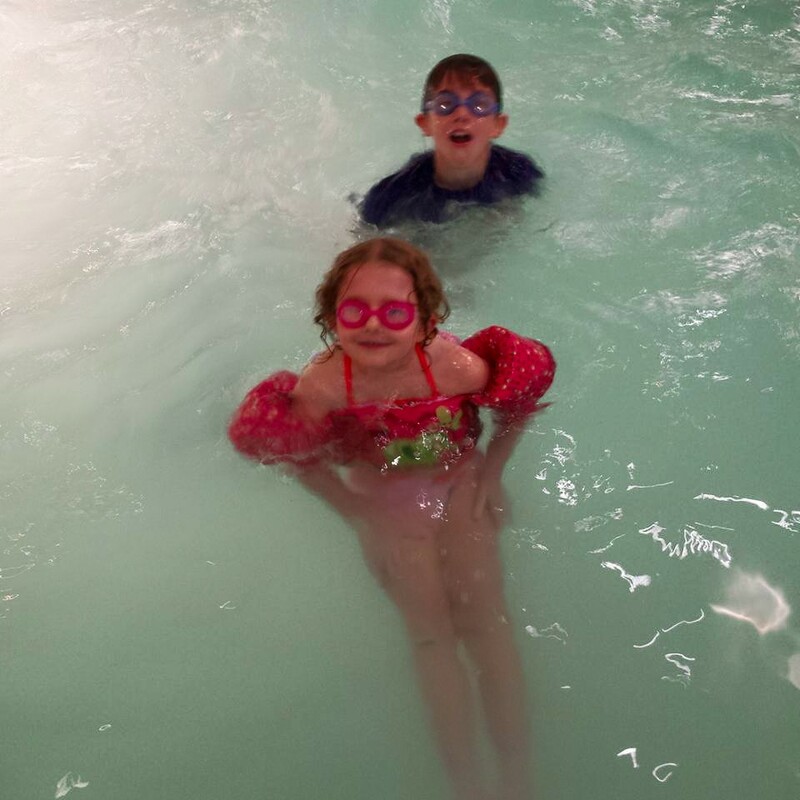 The indoor pool was a highlight for our kids because they like any chance they can find for getting into a pool, especially our youngest. 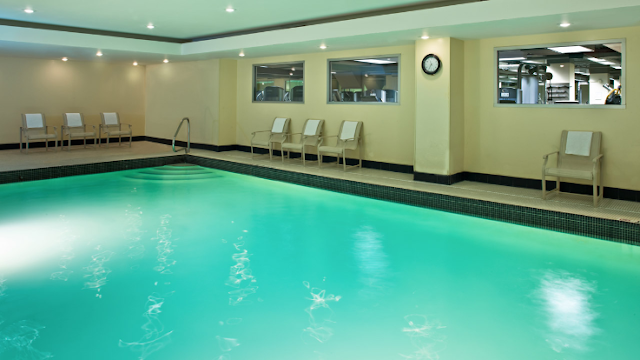 Grand Hyatt guests can use the health club facilities complimentary. I think Hyatt’s other properties, Park Hyatt, and Hyatt Regency near the Capitol, probably have better indoor pool facilities for families, but our children didn’t care. They just saw water in a pool that they could jump into and have fun. 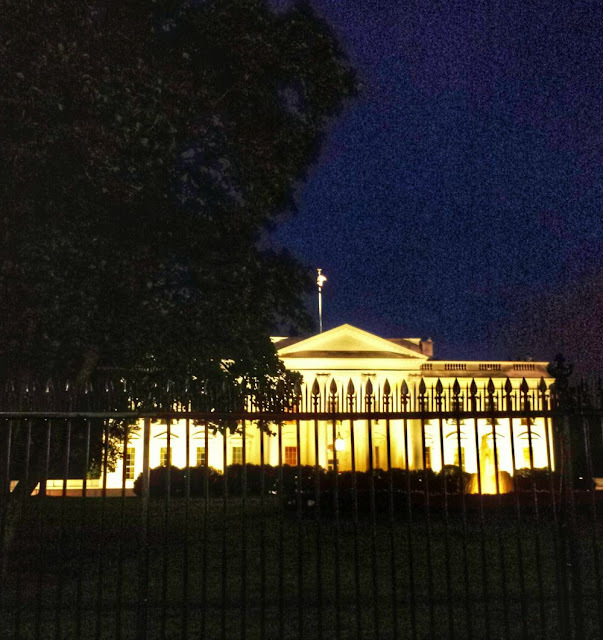 It’s also important to note that a lot of four- and five-star hotels do not have indoor pools at all in D.C., or some may have an indoor pool with very limited family hours. The Grand Hyatt Washington D.C. has two restaurants, a Starbucks Reserve, and room service until 2 a.m. on the weekends, available at the hotel. It has one of the best kid’s menus I’ve experienced that goes beyond the chicken tenders, pizza, and hamburger items. 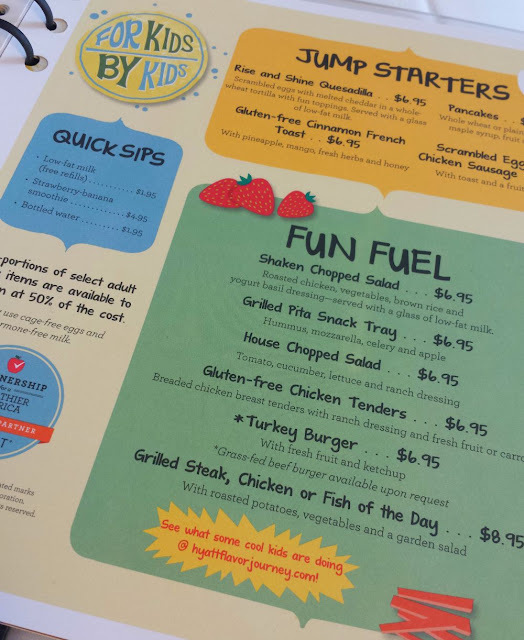 Grilled chicken, grilled fish, and steak were much-appreciated entrée items available for kids as well as breakfast items. Kids five and under can eat on the breakfast buffet in the Cabinet Restaurant complimentary, which is also a nice perk. 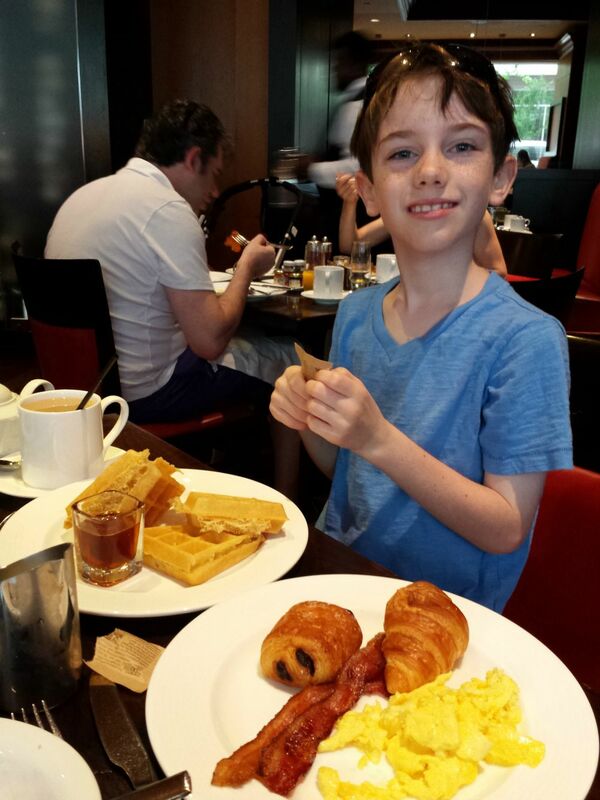 An average breakfast for two adults and two children ordered off the breakfast menu costs about $68 with tip. Coffee, served in a large mug with Starbucks coffee, will cost you $5. I live in Raleigh. I'm not used to $5 for Starbucks drip coffee. At my local five-star luxury hotel, $5 bottomless coffee gives you a locally, roasted signature blend. I called yesterday to ask. 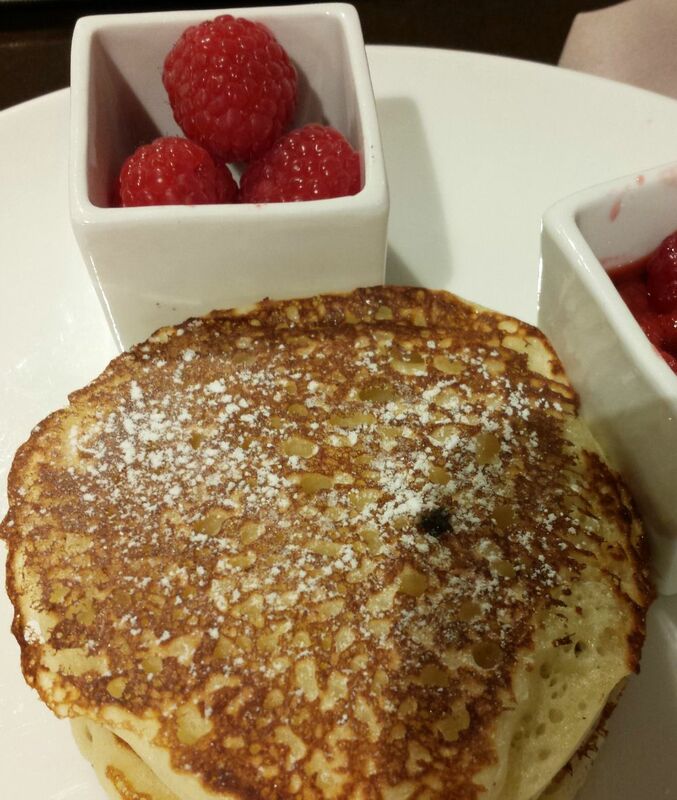 At another five-star hotel in D.C., a much better tasting coffee was priced at $4. But, I've learned that a bottomless pot of Starbucks coffee in a hotel is typically at this price point so nothing is out of the norm here for the city. Now that I’m home and am over the $5 drip coffee price shock, I suppose that if that is my only hotel gripe then that is good. I bring this coffee issue up because if you are reading this then I know you trust me to be honest. I know people love Starbucks, but I don't think I'm a fan of the brand unless I'm on the road and need coffee for a pick-me-up stop. I think the breakfast buffet is the best way to order at this restaurant, and it is typically offered with hotel packages. 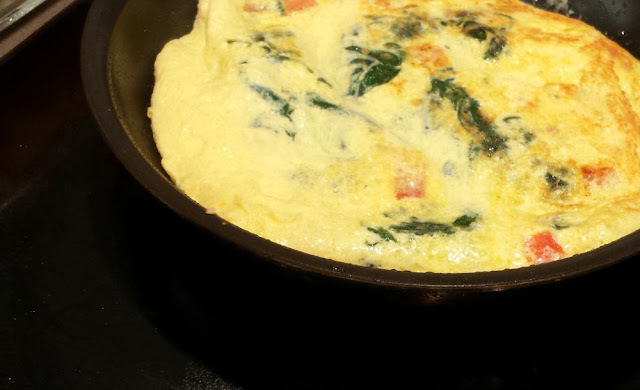 The made-to-order omelet was fantastic. The cost of the breakfast buffet is $28 for adults. 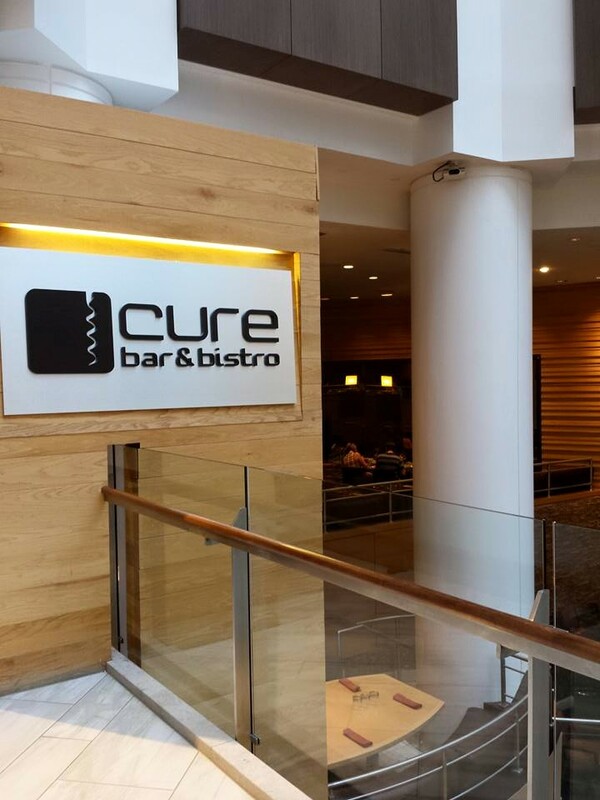 The Cure Bar and Bistro is the Grand Hyatt’s signature restaurant offering lunch and dinner. I was quite impressed with this restaurant, and it was one of our best meals on our trip. 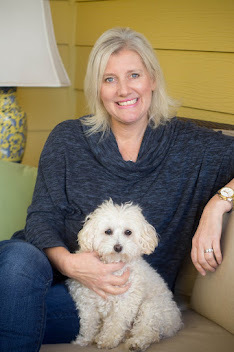 Under the culinary leadership of Ary Schalick, the restaurant focuses on farm-to-table sustainable ingredients with the culinary tradition of curing foods and pairing them with the right beverage. I chose to dine on two small plates: roasted beets and ricotta dumplings. Both dishes were outstanding. 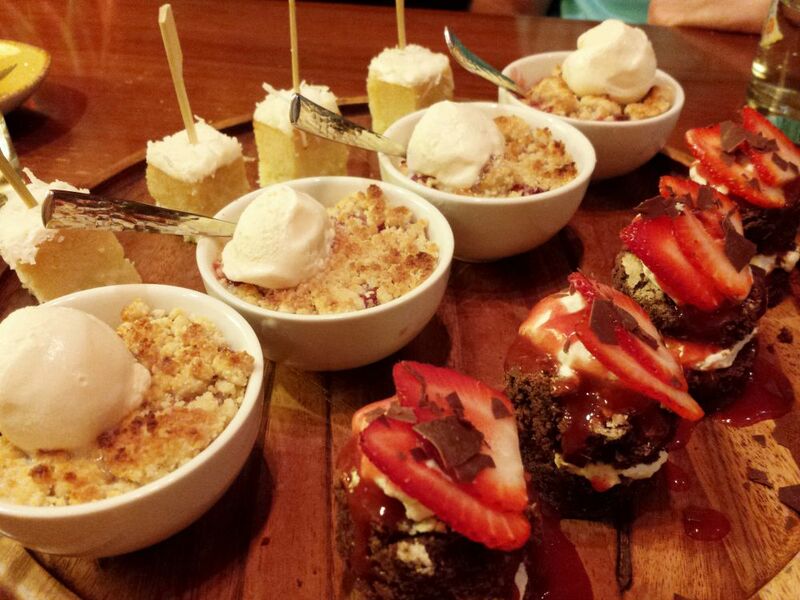 My favorite dessert was the coconut cake. 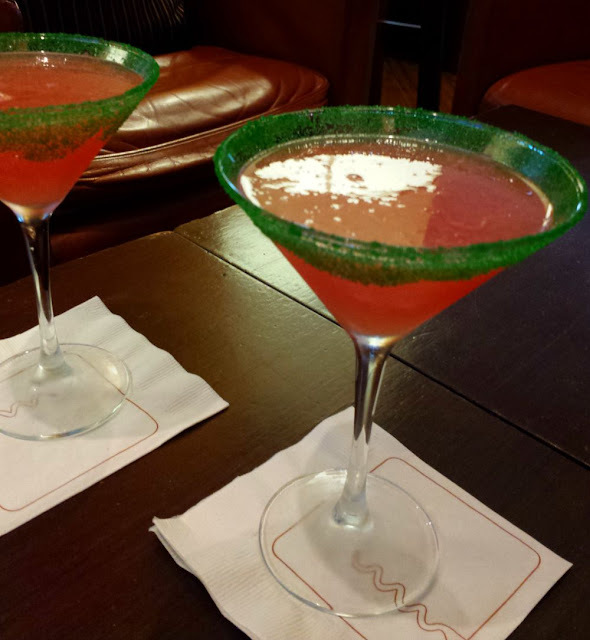 I featured the Cure Bar’s Watermelon Martini recipe on the blog before my trip, and I had two while in person. It was a fantastic seasonal cocktail. I highly recommend Cure Bar and Bistro for any traveler, whether you staying in the hotel or not. It cost more to stay on the club level floor, but it gives you access to a complimentary lounge that has four food displays daily plus complimentary non-alcoholic beverages. This is a great place to grab continental breakfast if you are not staying with a hotel package when breakfast is not included in your stay. I already told you that breakfast could run $75 in the morning in the Cabinet restaurant. And you probably already know how much Starbucks cost to grab a few muffins. It’s about $60 to $75 extra per night for club level, depending on demand. The club level has a sparkling water machine, a cappuccino machine, and a lounge for ready-made cocktails. Cocktails are extra but at a very low cost. I ordered a glass of wine. It only cost $3, which really surprised me, and I immediately saw the club level as a great perk for travelers. Through room service, one glass of wine would have been $9 plus fees. The club is also available 24 hours for non-alcoholic beverages, which is also a nice perk. I’ve stayed at other brand club levels where the club was not always open. I’ve started adding this section to my hotels feature because I’m learning a lot from my husband and have really learned to value his opinion. He doesn’t mind paying for things if he thinks the experience is worth it. I always try to find luxury for less when traveling, but not all travelers care about luxury for less, honestly. I understand, and luckily for today's modern traveler, there are a lot of choices. 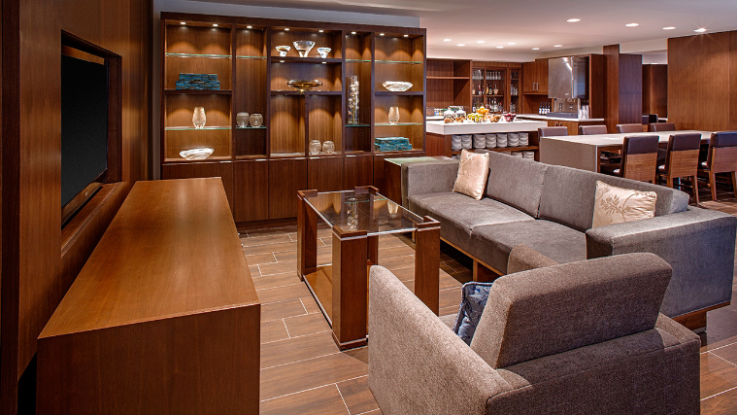 Select-service properties are stylish and comfortable these days. It’s no longer the 1970s, when we had either really nice luxury properties or road-side budget motels. 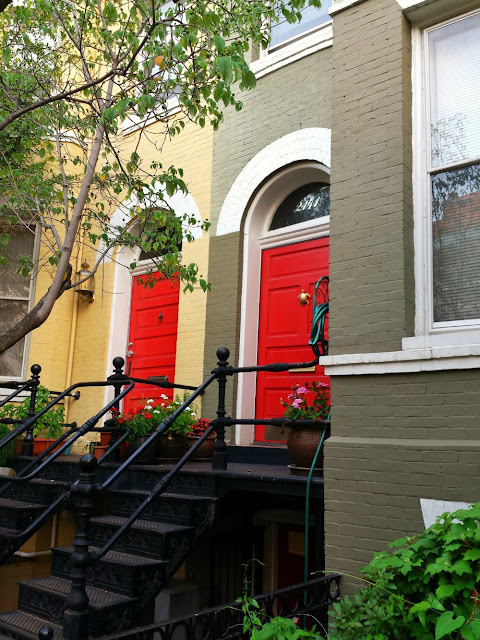 It’s a different world for the traveler now, and hotel choices are endless in a market like D.C. You may not realize it, but you can pay as much for a brand-new select-service property as you can for a full-service resort property. The world of hotel points and brand loyalty plays a part these days in booking properties. 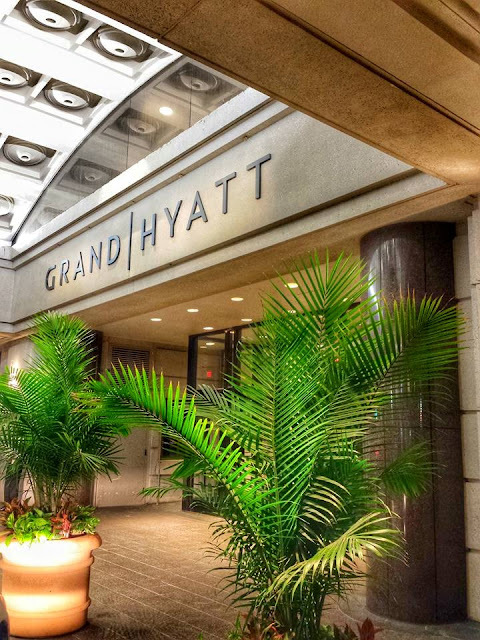 What does all mean for the Grand Hyatt Washington D.C? If you enroll in the Hyatt Gold Passport program, you can work yourself toward hotel savings and point. I'm not yet a member, but I think I will join. The Hyatt bed and the Club level was enough for me to really consider a Hyatt resort vacation. 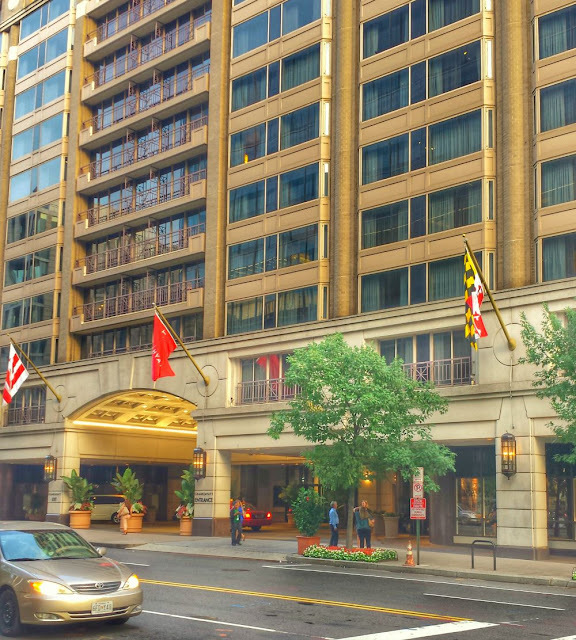 Depending on the time of year and demand, you can book a basic king or double room at the Grand Hyatt Washington for less than $250. That is a fabulous price for a very nice hotel in Washington D.C. Weekdays when conferences are in full swing tend to be more expensive than weekend nights. My best advice to families is to not always think that a full-service is out of your budget if you typically stay in a select-service property like Hyatt House. This is especially true for the luxury and upscale market. Depending on the time of year you travel, and if breakfast is offered or attractions, you can find a lot of value in your purchases and I can assure you that even though select-service properties are nice these days, full-service hotels offer so much that can raise the experience level. The Grand Hyatt Explore D.C. package offers buffet breakfast in the Cardinal Restaurant, and tickets to your choice of a museum plus late checkout. 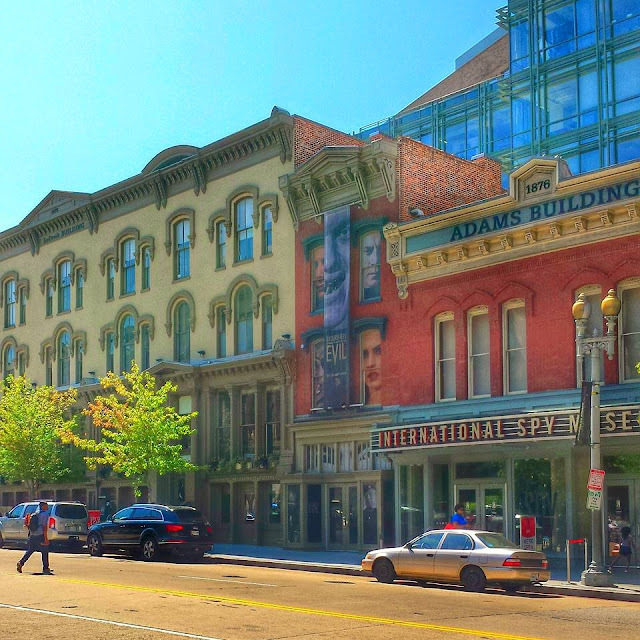 We explored two museums (International Spy and Newseum) that were offered directly through the Hyatt Regency Explore D.C. package because Liza is scared of wax figures (Madame Tussands) and the Crime Museum is not entirely appropriate for her age, so we curated our trip a little differently for this feature. Cost for this package with a basic room runs $218 plus taxes on weekends, and a higher price during the week. Club level begins at $318. Considering all that you get with this package, that is value. Parking in D.C. can add up anywhere you go. Overnight valet is $45. Self parking with no in and out privileges is $35. Once you get parked, you can leave it alone. The location is that grand. In HinesSight on our Stay at Grand Hyatt Washington D.C.
Fabulous location. Great shopping and dining at city center within walking distance. Absolutely would stay at the Washington Hyatt D.C. again. 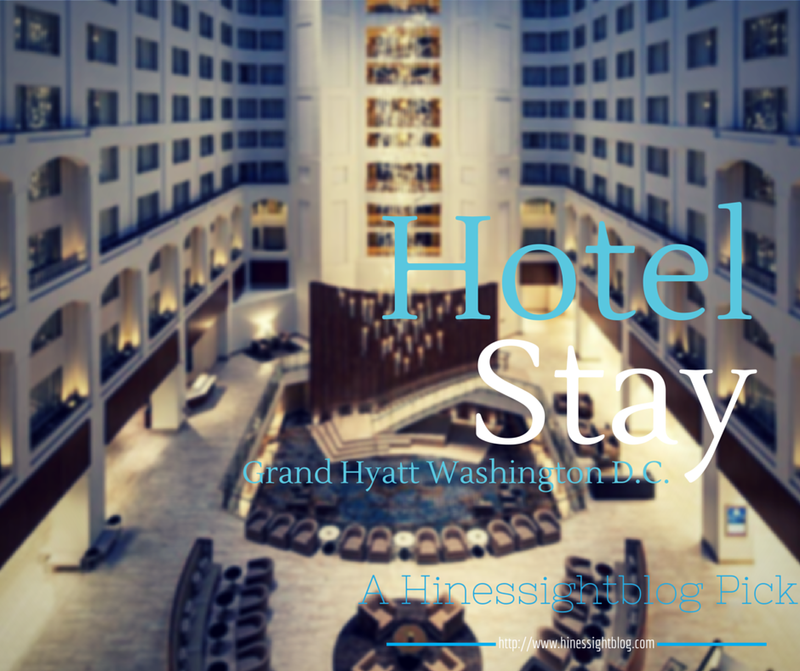 The Grand Hyatt Washington D.C. is an upscale property that gives a lot of value for the price. 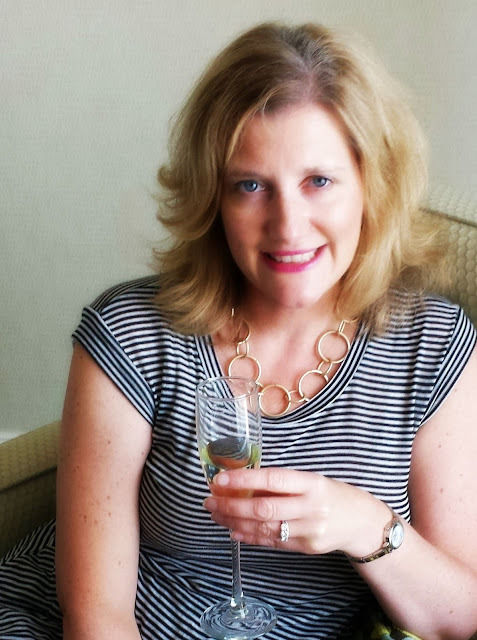 Disclosure: My thanks for the Grand Hyatt Washington D.C. for working with me on this stay and having me as their guests for the Explore D.C. package. As with all of my curated properties, some expenses are my own and my opinions are always my own.